Welcome to the second edition that completes our Ten Commandments of Customer Excellence. I hope you have adapted the first five to your business and have started putting them into practice! Our moms were right. People like courtesy–anything less is unprofessional and unacceptable. Recall the last time you were treated with discourtesy as a customer. If you are like me you are now an ex-customer of that business. Empathy is good, compassion is great! Having empathy is about understanding: it’s looking at the situation from another’s perspective and understanding how he or she feels before reacting. As I said, this is good–but we need to be careful that it is not used just to profess understanding. Compassion is empathy in action. I regard it as “commitment with passion” to not only see the situation from another’s perspective but to take action and do something about it. 8. Share ideas and initiatives. In your business you need to encourage the sharing of best practice ideas and initiatives that demonstrate excellence in customer service. Also, be committed to learning from the world’s best in your particular field. Copying and adapting the world’s best practice ideas to your business, and then improving them, is smart business. Leaders need to seek out the exceptional customer service stories, reward the team members involved, and tell these stories at team meetings. What are you prepared to do that your competitors are not? 9. Hiring the right people. Team Members are the critical link to superior customer service. Hire the best people and then treat them in a manner in which you expect them to treat customers. There is a strong link between how your employees feel and how your cu stomers feel. a. You need to always strive to be the best and measure your performance against those who excel in your field. b. You need to continually measure your performance–daily, weekly, and monthly–otherwise you will have no criteria for which to gauge your success. 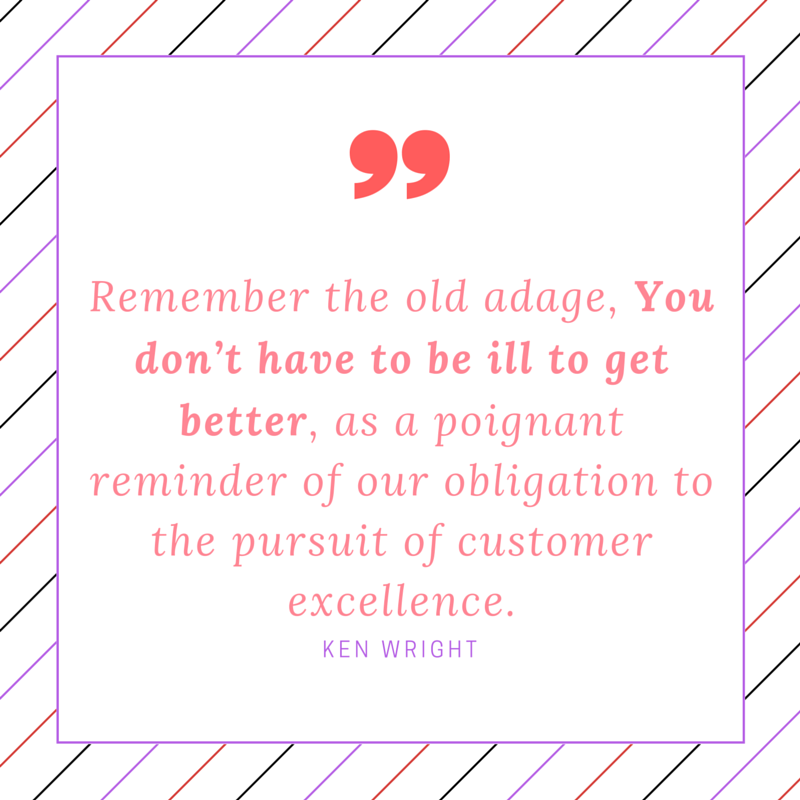 c. Continually strive to improve your performance in all areas to better your “personal best.” Are you surveying customers, meeting with them or doing “Mystery Shops”? d. Have an organizational matrix in place that measures results on one axis and behaviours on another. The goal is to have everyone in the quadrant high on results and high on behaviours; you need to ensure that the behaviours being measured are clear, that everyone is aware of their particular behavioural requirements, and ensure that they are easily quantifiable. I can assure you that if you involve your team and adapt all Ten Commandments of Customer Service to your business, the results will be impressive. Become innovative in how you remind your team of your customer service excellence commandments. Will they be posted with your Vision and Values statements or dot points on laminated pocket cards? Will you have one team member speak at meetings on one point that they excel at?